Colonel J.W. Chandler, S.S. Chandler, and S. Miller built Iola's first dam and sawmill in 1853. 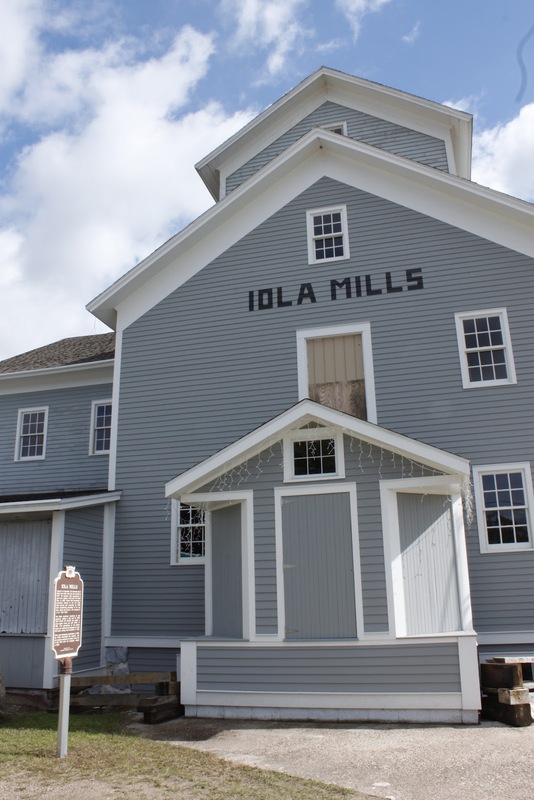 The partners then constructed a grist mill, adding a flour mill two years later. 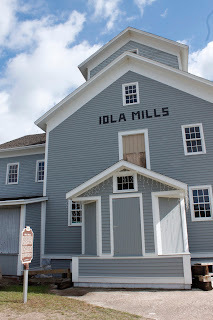 In 1860, Henry Wipf purchased a controlling interest in the Iola Mills. Wipf secured sole ownership to his two sons, Jacob and Conrad, who renamed it J. & C. Wipf Mills. The Wipfs continued investing in the property, adding a rail spur in 1893. 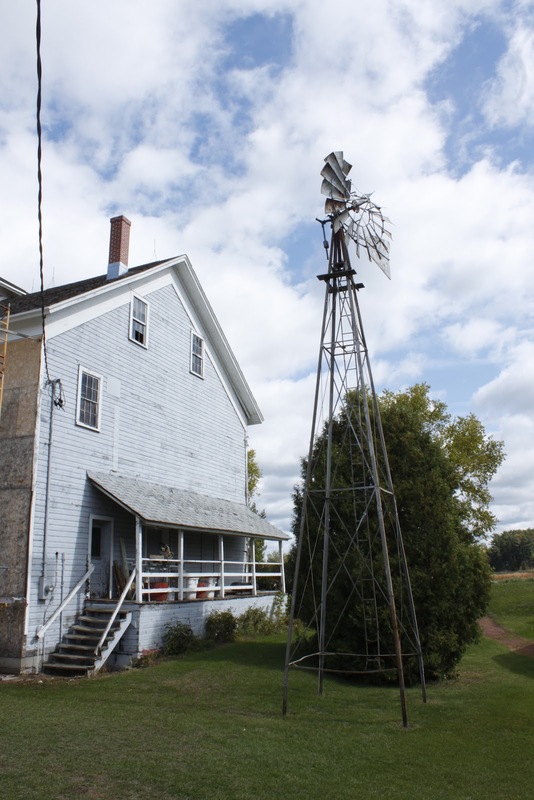 They rebuilt the sawmill and added a stone engine house and mill office in 1898. Four generations of the family owned and operated the business for over 100 years, ending with Fredrick J. Wipf. 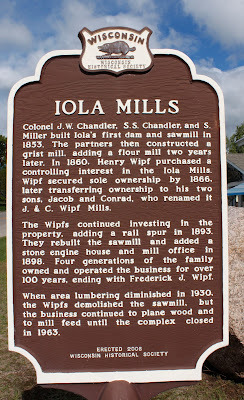 When area lumbering diminished in 1930, the Wipfs demolished the sawmill, but the business continued to plane wood and to mill feed until the complex closed in 1963. The marker is located on northbound Main Street / Wisconsin Highway 29 / 161, north of its intersection with Mill Street, Iola, Wisconsin 54945. The southern end of Iola Lake, behind the marker location.